Tobacco firms like to make loud calls to combat cigarette smuggling, while actively engaging in the highly profitable practice. A prime example has recently been reported in the UK: the strategy is to supply more than what is required to nearby low-tax countries such as Spain, Belgium, the Netherlands and Luxembourg, where individuals could purchase them and return to the UK for resale. Avoiding the high tobacco tax in the UK keeps the prices of the tobacco products low and affordable, allowing the tobacco industry to retain its market. Smoking will cut at least ten years from your life, the first ever long-term Australian study has found. 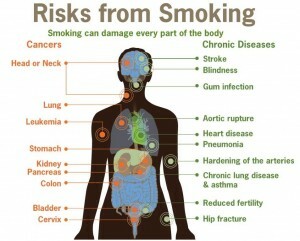 And even light smoking – consuming ten or fewer cigarettes a day – will double your risk of death. Pack-a-day smokers have a fourfold greater risk of dying early, a study of the 200,000 Australians aged over 45 taking part in the Sax Institute’s 45 and Up study has found. The earlier you quit smoking, the better the outcome, the study found. Until now health experts have been relying on overseas studies about the effects of smoking; this is the first large scale long term Australian study on tobacco use. And the results from the Australian study are more alarming, showing two thirds of deaths in current smokers can be directly attributed to smoking. International studies estimate only half the deaths in current smokers can be attributed to their smoking. “We all know that smoking is bad for your health, but until now we haven’t had direct large-scale evidence from Australia about just how bad it is,” said the 45 and Up study director, Professor Emily Banks. The study, supported by the National Heart Foundation and Cancer Council NSW, found current smokers were three times more likely to die than people who had never smoked. “People don’t realise how damaging even light smoking is for your health – for cancer, heart disease, lung disease and a range of other conditions,” said study co-author Associate Professor Freddy Sitas from Cancer Council NSW. About eight per cent of the people in the study were current smokers and just over a third were past smokers. The researchers calculated tobacco related deaths by checking Births, Deaths and Marriages against the names of study participants over a four-year period to June 2012. Study participants who already had cancer, heart disease and stroke at the beginning of the study were not counted in the calculations. The study was also adjusted for age, annual pre-tax household income, education, region of residence, alcohol consumption and body mass index. Within time the researchers hope to be able to reveal what caused the deaths of the patients in the study. Smoking prevalence in Australian peaked in 1945 for men and 1978 for women, and Australia is now experiencing a “mature epidemic” where the full impact of smoking on health is only just being realised, Professor Banks said. The Australian Health Survey reported in 2011-12 that eight million Australian adults had smoked at some time in their lives and 3.1 million were current smokers. Smoking rates have been falling over the past decade from 27 per cent to 20 per cent for males and from 21 per cent to 16 per cent for females. The 45 and Up Study is following the health and ageing of a quarter of a million Australians and is the largest ongoing study of healthy ageing in the Southern Hemisphere. It measure not just smoking rates but how obesity, alcohol and other factors impact health. A study of 200,000 Australians shows the habit cuts 10 years off the average smoker’s life and is directly linked to two thirds of deaths in current smokers. This is much higher than previous international estimates of 50 per cent. The four-year analysis of health records in the Sax Institute’s 45 and Up Study shows even moderate smoking is a major killer. “We all know that smoking is bad for your health. But until now we haven’t had direct large-scale evidence from Australia about just how bad it is,” says study leader Professor Emily Banks, the scientific director of the 45 and Up study. The study, supported by the National Heart Foundation in collaboration with Cancer Council NSW, shows risk increases with the number of cigarettes smoked a day. The risk of death is doubled even among those smoking an average of 10 cigarettes a day, says study co-author Associate Professor Freddy Sitas from Cancer Council NSW. The good news, says Prof Banks, is that stopping smoking at any age reduces the risk. Smoking is the largest single preventable cause of death in Australia and kills 15,000 people a year, says the Heart Foundation’s Dr Rob Grenfell, who worked on the study. “People need to realise that smoking is a dangerous activity,” he said. One of the more vocal voices against the illegal tobacco trade is Robin Jolly, convenor of the organisation Hong Kong United Against Illicit Tobacco (HKUAIT). To a normal reader, Jolly’s position may seem like a strange and ambiguous one: he comments and speaks against cigarette smuggling, but it is always as if cigarette smuggling is a problem of its own; one would be hard pressed to hear him talk about smoking as the problem itself. Part of that is because Jolly’s work at HKUAIT is funded by tobacco giant, Philip Morris, but it would not be quite right to suggest that it is in the interest of the tobacco industry to fight the illegal tobacco trade. Rather, Philip Morris employs multi-pronged strategies for its business survival: genuine Philip Morris products are oversupplied into the black market to keep cigarettes within the purchasing power of consumers, while apparently independent organisations such as HKUAIT attacks cigarette smuggling to distract and confuse public views on the issue of smoking as a health hazard. In July 2013, for example, Jolly announces his praise for police action on illegal cigarettes, highlighting the criminal aspects of the illegal trade to attract public attention. More recently, he plays with the alarm bells in a letter published in the SCMP, where he passively attacks the government for its increased tobacco control measures (claiming it ‘drives the whole market underground’) and speaks of the illegal cigarette trade as a ‘real problem’ and a ‘menace to society’. Clearer minds would, no doubt, recognize smoking itself as the real problem and the menace to society, although there can be little done about Philip Morris and other tobacco companies continuing to fund Jolly’s organization to send confusing messages to the general public. Tough jail terms to curb illegal trade? Firms-supplied genuine goods account for majority of smuggled cigarettes though. I refer to the report (“One in three HK cigarettes illegal: study ”, October 3). The study that came out with this figure said that because of so much illicit tobacco the city is losing out on billions of tax revenue. I do not think this study should prompt a debate about whether the government should lower the tax on cigarette so as to make smuggling unprofitable. The most important issue should be how to fight the criminals involved in this illegal trade. At the end of the day, there is no public policy that can cure all social ills. When the government raises tax to discourage cigarette consumption, it should consider thoroughly all the consequences of its action and plan ahead with corresponding solutions. The problem of illicit cigarettes is not only about potential loss of government revenue but of funds going to criminal groups, which might create more social problems. The SAR government should not make crime lucrative by turning a blind eye to the problem. From a criminal justice point of view, the most cost-effective way to combat smuggling of illegal cigarettes is to establish [appropriate] sentencing guidelines in our courts. The administration should increase maximum sentences for buyers and sellers of illicit cigarettes. Mr Lee’s idea is actually an excellent one, provided if it is understood that the ‘criminals’ in question would, in fact, be the tobacco firms themselves; of the 76 million cigarettes seized by Hong Kong customs last year, 60% were genuine products supplied in large amounts by tobacco firms, a global practice which brings volumes of unspoken benefits to them. The issue of funding criminal activity through cigarette smuggling is, in fact, part of a broad array of tactics aimed at confusing public opinion, as this letter shows, unfortunately, that has somewhat measured success. While tobacco companies are known to lobby governments and MPs over legislation for tobacco control, Philip Morris is now leading them to take an even bolder step. They have filed an injunction against a move by Thailand’s health ministry to increase the size of graphic health warnings on cigarette packs to 85%, up from the current 55%, effectively making a direct challenge on the government’s mandate to rule. The court ruling for the injunction will delay the policy change by about 3 months, giving Philip Morris ample time to lobby against the new ruling. 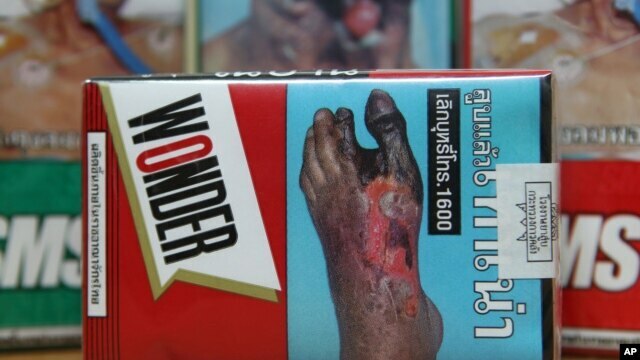 Major international tobacco companies are mounting a legal challenge to Thai health ministry plans to increase graphic health warnings on cigarette packaging. The court battle has wide implications for Thai health policy measures seeking to reduce smoking and combat cancer. In Thailand lung cancer rates are rising for both sexes and becoming a leading cause of death in men. In a policy backed by the World Health Organization (WHO) Thailand’s Ministry of Public Health is planning to increase the size of anti-smoking advertisements on cigarette packaging from 55 percent of the package, to 85 percent. The WHO believes the large graphic pictures of sick people suffering from the effects of smoking are one of the most effective measures to reduce smoking. But new regulations that were due to come into effect on October 2 were blocked by international tobacco companies led by Philip Morris with a legal injunction. The companies argue the ministry exceeded its legal authority and failed to consult thousands of retailers and manufacturers. They also claim the larger warnings undermine the use of trade marks to differentiate products in the market. Pokpong Srisanit, a Thammasat University law professor, says the challenge to the health ministry by the companies is a first in Thailand. “When the Ministry of Public Health announce a new regulation normally the big company and the small tobacco company obey the regulation. Now, the case of the 85 per cent pictorial health warning the three big companies sued the Ministry of Public Health — just one [the first] case in the history of tobacco control in Thailand,” he stated. Thailand is adopting measures set out by the WHO’s Framework Convention on Tobacco Control which supports the use of health warnings on packaging to deter smokers. The WHO said it is backing the Thai Government, and warnings on packaging are considered highly effective measures to reduce tobacco use. International tobacco company, Philip Morris, argues that further regulations on the health effects of its products are unnecessary as the risks associated with smoking are already widely known. Medical doctor, Prakit Vachesatogkit, an adviser to the Tobacco Control Division of the Ministry of Public Health, says Thailand is following policies similar to those in Australia, Uruguay and Sri Lanka in recent years. Australian lawyer and member of the Federal government’s expert advisory group on measures to reduce smoking, Jonathan Liberman, said the case is about governments ability to regulate industry in the interest of public health. “Countries have to defend these measures against these legal claims and legal threats that are brought by the tobacco industry. It tries to intimidate governments and sue them, rather than just allow them to implement the measures that will reduce death and disease and enormous social and economic costs. The government’s can’t be intimidated there’s too much at stake,” said Liberman. Both the companies and the Thai health ministry are presenting their cases before the Administrative Court. A ruling by the court is expected late this year or in early 2014. 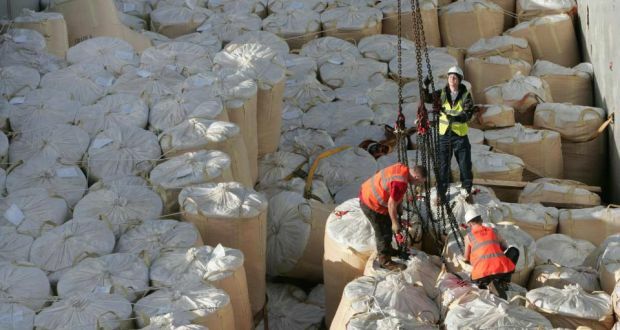 When the MV Anne Scan was searched by Customs officers in Greenore port in Co Louth in October 2009, it yielded 120 million cigarettes with a retail value of about €50 million. The smuggled consignment was the biggest found in Europe. The ship’s 250m-long hold contained large bags of animal feed – into each one had been placed boxes of 100,000 cigarettes. “When we took away the animal feed, it took 16 40ft containers to move to the cigarettes,” Liam Irwin of the Revenue Commissioners said. Irwin is the most senior figure in Revenue with responsibility for trying to beat the smugglers. With seizures looking set to drop to a 15-year low this year, his job is getting harder. Drug gangs hit hard in the recession as the demand for recreational drugs plummeted are turning to the booming demand for cheap cigarettes among consumers. The activities of cigarette gangs Irwin and his colleagues try to stop take various forms. Some “ant” smugglers constantly travel on low-cost airlines to buy packets of cigarettes outside the EU for as little as €2 for a pack of 20. They are then smuggled back to Ireland for sale on the streets for €4.50 – half the retail price. In larger operations, gangs source counterfeit cigarettes from illegal factories, mainly in China. These are made to look like major brands and can be bought for 50 cents for 20 and sold for €4.50 on the streets. Other illegal factories abroad produce their own brand of cigarettes specifically for sale on the black market that are even cheaper than 50 cents a pack to buy wholesale. They can be sold here for €4. Irwin said that with more 40ft containers than ever arriving at major ports being scanned by Revenue’s large X-ray machines, detections had been growing over the past 15 years. However, smuggling gangs, frustrated at losing their hauls, have sought to combat Revenue’s success and more professional drug gangs are also involved in the trade. Instead of booking full 40ft containers, they are booking smaller spaces in containers shared with several reputable businesses shipping legal goods. Large orders of cigarettes sourced from illegal factories are then broken up and concealed before being packed into the containers that bring them to Ireland. He also believes large consignments are now being hidden in vans and driven into the State from ferries. To that end, Revenue has recently acquired a “van scan” that can X-ray vehicles. The scanners check if the consistency of the goods transported matches the description in the cargo’s paperwork. Handheld X-ray devices are being acquired and four new tobacco sniffer dogs have been introduced. Irwin said the increased sophistication in smuggling methods suggests the involvement of gangs previously involved in drug running, with profits just as big in cigarettes and sentences lower for those who are caught. He accepted that Revenue needed to become better at mining local communities for information about the criminals that transport and sell the estimated 90,000 packets of black market cigarettes smoked every day in the Republic. This amounts to a daily loss to the State of excise duty and VAT running to €655,000. It sounds too good to be true, but it seems that the governments of Ireland and Fiji are aiming to make their countries smoke free. While the Irish health minister cites the health problems that tobacco cause, Fiji also cites the damage that tobacco-related diseases cause to the economy. Governments around the world should take notice of this, too. The Irish health minister has published a plan to make the state “tobacco-free” by 2025. Dr James Reilly has defined a “tobacco-free Ireland” as a state where less than 5% of the population smoke. According to the latest figures, 22% of people aged 15 and over regularly smoke cigarettes in the Republic of Ireland. The plan makes 60 recommendations to significantly reduce smoking over the next 12 years. Tobacco would still be available, but at an increased cost. The recommendations also include the introduction of a ban on smoking in cars where children are present and new on-the-spot fines for breaches of smoking laws. The plan calls for greater restrictions on the types of outlets from which tobacco products can be sold, advocating a ban on all self-service cigarette vending machines and greater regulation of tobacco retailers. It also sets out several recommendations for what it called the “de-normalisation” of tobacco use in Irish society. The health minister said: “Smoking is the leading cause of preventable death in Ireland. 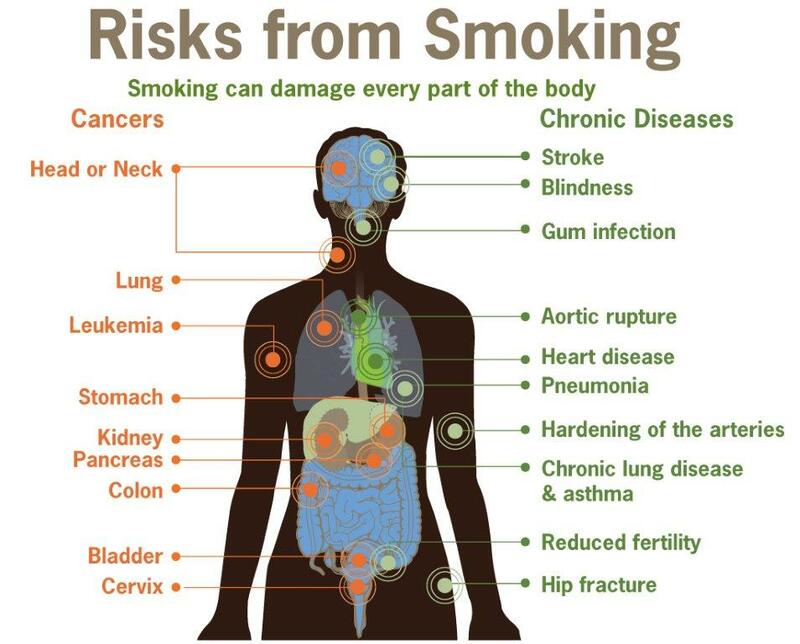 “Each year at least 5,200 people die from diseases caused by tobacco use. This represents almost one in five of all deaths,” Dr Reilly added. The tobacco-free plan has been published almost a decade on from the Irish smoking ban. In March 2004, the Republic of Ireland became the first state to introduce a total ban on smoking in the workplace, controversially including pubs and clubs in the legislation. Earlier this year, a study of the effects of the ban estimated that up to 3,726 smoking-related deaths were prevented since 2004. He said that would result in “stigmatising consumers of a legal product enjoyed by hundreds of thousands of adults throughout the country”. “Smokers contribute a huge amount of money to the government through tobacco taxation,” he added. The Tobacco Free Ireland report was compiled by the Tobacco Policy Review Group. The group consists of 12 staff from the Irish Department of Health, the Irish Health Service Executive (HSE)and the National Tobacco Control Office. Fiji needs to move towards being a tobacco free-country. This was the opinion of World Health Organisation co-ordinator NCD and health promotion Dr Temo Waqanivalu at the National Wellness Policy Symposium in Suva last week. Dr Waqanivalu said being a tobacco-free country would go a long way for Fiji. “NCD is the biggest burden in Fiji and the Pacific,” he said. Dr Waqanivalu commended the Health Ministry’s efforts to the fight against NCDs by establishing the Tobacco Act in 1992 and Tobacco Decree 2010. He called on other sectors to work with the ministry to ensure Fiji works towards a green economy. “The drivers of some of these risk behaviours lie outside of health and some of them are trade and finance, in terms of the food items that find themselves on the shelves in Fiji as there is nothing much that the ministry can do about that. “Trades and finance are the key gatekeepers as far as those are concerned, so a bit of policy on things like that would go a long way. Dr Waqanivalu said Fiji was heading in a positive direction in the fight against NCDs but the next phase would need the assistance of other sectors. In an attempt to minimize the pack design avenue of communication between tobacco producers and smokers and potential smokers, several jurisdictions, including Norway, have considered regulations on cigarette pack design. The main aim of the current study was to investigate how package design affects young people’s perceptions of typical smokers of some pre-chosen cigarette brands and brand varieties. Based on data from a web survey among 1022 15-22 year-olds, possible effects of plain packaging of cigarettes on adolescents’ views about typical cigarette smokers were investigated. The data collection had a between-subjects design, in which participants were allocated to one of three groups, and asked to typify the smokers of selected cigarette packs either in branded, plain or plain with descriptor versions. The sample included boys and girls, and smokers and non-smokers. The smoker characteristics included in the investigation were: gender, glamour, stylishness, popularity, coolness, sophistication and slimness. After creating sum-scores within and across packs and pack versions, analyses indicated that a shift from branded to plain cigarette packaging would result in a reduction in positive user images related to smoking among adolescents and young adults. For girls, this effect held up after controlling for confounders. To the extent that plain packaging contributes to making smoking images less positive, it can potentially be an efficient aid in reducing smoking uptake among adolescents. With new regulations looming, lobbyists for the electronic cigarette industry are heading to Capitol Hill, hoping to persuade lawmakers that the combustion-free devices shouldn’t be treated like tobacco products. The U.S. Food and Drug Administration (FDA) has set an Oct. 31 deadline to issue a proposed rule that would expand its oversight of e-cigs. In response, Cabrera’s group has summoned its members to Washington for a “day on the Hill” Nov. 4 and 5. Trade associations for industries under pressure from the feds traditionally round up their members and bring them to D.C. to meet and greet lawmakers and their staffs, hoping to portray themselves as vital cogs in the economy and loyal supporters of their Congressional members. Besides arguing the merits, if any, of e-cigs the group will be arguing that the law under which the FDA is issuing the new regulations — the 2009 Tobacco Control Act — doesn’t give it the authority to do so. “This law gave the FDA authority over cigarettes, smokeless tobacco and roll-your-own tobacco, and has been misapplied to allow the agency to expand its oversight to additional products, such as electronic cigarettes,” Cabrera’s group said in a press release. The FDA has reportedly completed the drafting of its regulation and submitted it to the White House Office of Management and Budget (OMB) for review by OMB’s Office of Information and Regulatory Affairs (OIRA). FDA has been saying for at least the last two years that it intends to include electronic cigarettes under its authority and it has come under increasing criticism from anti-smoking groups and some lawmakers for the plodding pace at which it has proceeded. In April, five senators, all Democrats, wrote to FDA Commissioner Margaret Hamburg, urging the agency to make haste. In a news release, SFATA said it is “encouraging the FDA and elected officials to refer to research established by credible health professionals who offer scientific evidence proving that e-cigarettes are a reliable, adult alternative to combustible cigarettes.” It didn’t cite any such evidence iin its release, however. Tobacco industry lobbyists and lawmakers are rebuffing demands for stricter regulation, saying such a move would end millions of livelihoods. “Many small industries can no longer survive. We feel like we are going to get murdered and only big industry will survive,” said Hafash Gunaman, head of the Association of Kudus Cigarette Makers. Hafash was responding to renewed calls on the government to accede to the Framework Convention on Tobacco Control (FCTC), a treaty convened by the World Health Organization in 2003, after the world community singled out Indonesia as the only country in Asia, the Pacific or the G20 that has not attempted to pass tobacco control laws that meet even minimum international standards. The FCTC requires parties to legislate a comprehensive ban on tobacco advertising and undertake measures to ban sales to minors, reduce demand, help people end tobacco addiction, protect non-smokers’ health through indoor smoking restrictions, and eliminate smuggling. “If the tax excise is increased, our product’s market [will shrink], because it will be too expensive. We don’t have enough capital to cope with that,” Hafash said. There are few places in the world where cigarettes are cheaper than in Indonesia. Indeed, they are affordable even for the poorest households and children. A pack of Marlboro, including taxes, sells for $1.30 in Indonesia, compared to $9.70 in Singapore, $14.50 in New York, $3.20 in Malaysia and $1 in the Philippines and Vietnam, according to cigaretteprices.net. The highest price, $17.70, is found in Australia, which has some of the world’s strictest tobacco controls. The tobacco industry has previously claimed acceding to the FCTC would threaten the livelihood of 10 million people who work as tobacco and clove farmers, factory workers and cigarette vendors. The Ministry of Health says the framework would not hurt workers’ livelihoods, and would only regulate the tobacco trade to improve the farmers’ welfare and prevent children from taking up the habit. “Vehicle fumes are more dangerous than cigarette smoke. But why doesn’t the government limit the number of cars?” Hafash said. Zulvan Kurniawan from the National Coalition to Save Kretek (Cigarettes), or KNPK, said Indonesia already has a tobacco regulation and FCTC accession is unnecessary. “Current regulationa are strict enough. But is law enforcement working?” he said. Zulvan denied that cigarette commercials influence people, especially children, to take up the habit. “Advertisements only inform people about cigarette brands. Smoking itself is more related to influence from people’s surroundings,” he said. Poempida Hidayatullah, a lawmaker on House of Representatives Commission IX, which oversees health and welfare issues, said FCTC accession was a ridiculous move that would only benefit foreign tobacco. “Everything was copy-pasted to be implemented in Indonesia based on foreign importance,” he said. Poempida said the push for FCTC accession is motivated by trade competition and a desire dominate the Indonesian market by killing the local clove cigarette industry. Minister of Health Nafsiah Mboi said on Wednesday she was thoroughly embarrassed during the Organization of Islamic Countries’ summit of Health Ministers in Jakarta on Tuesday. Indonesia is one of only 10 states that have not signed the FCTC, alongside Zimbabwe and Somalia. “Somalia has not ratified the framework because they have practically no government. I really don’t know what to say about Indonesia, so I could not give any response when asked about tobacco control. But I was very ashamed,” she said. Nafsiah said Indonesia has repeatedly violated the global commitments it made in several international forums. In 2011, Indonesia voted in favor of a UN General Assembly resolution recognizing the most prominent non-communicable diseases are linked to common risk factors, such as tobacco and alcohol use, unhealthy diet and lack of physical activity. The meeting, attended by President Susilo Bambang Yudhoyono, also recognized the fundamental conflict of interest between the tobacco industry and public health. In 2011, a regional WHO meeting issued the “Jakarta Call for Action on Noncommunicable Diseases,” participants from Southeast Asian countries called on global leaders to combat NCDs by ratifying the FCTC and scaling up a package of interventions proven effective, including the reduction of tobacco use. In 2007, at an OIC Health Minsters summit in Kuala Lumpur, Indonesia stated its willingness to recognize that tobacco poses one of the greatest threats to health. The country joined an effort to call upon OIC member states to introduce stronger tobacco control legislation. Diplomats have noted Indonesia’s eagerness to project itself as a leader in international forums, but say the country’s reputation will suffer if, rather than taking action and responsibility on basic agreements, the government is instead seen as merely blowing smoke.